Spring is here at last! The sun is shining, the days are longer, and the earth is coming alive with young green grass and the first flowers of the season. But the air can still have a bit of a chill in it, so what better way to keep a warm, cozy feeling inside than with a fresh, hot cup of tea in the garden! 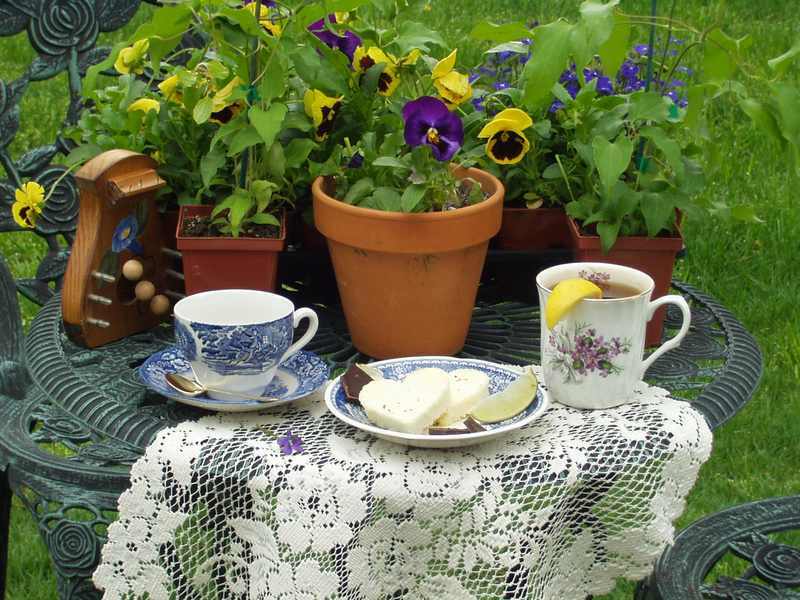 Here, a Victorian-inspired garden table holds a bounty of pansies, lobelias, and clematis waiting to be planted, while the gardener takes a break with tea, heart-shaped cakes, and, as a special treat, a little chocolate.